Why SafeWay Driving For Adults? Are you over 18 and getting your license for the first time, a new resident of the United States or an adult looking to hone your skills behind the wheel? When it comes to safe driving, age doesn’t necessarily equal expertise. Whether you need to get your drivers license, build your confidence following an incident or you are the adult child of a senior driver who wants your parent’s driving skills evaluated, we offer a range of packages that will provide you and your family the peace of mind that only comes from the Best Driver Training in Texas. The Very Best In-Car Training: From top certified professional driving instructors. Save More Time: Our additional Valet Service can pick you up and drop you off. Personalized Training: Work on the driving skills you want to improve. Experience: Over 44 years of training more than 275,000 SAFE drivers. Texas requires adults ages 18-24 to complete a 6 hour theory course as well as a Road Test. Adults over the age of 25 must pass a written test and the Road Test. By combining the theory requirement with in-car driver training, you’ll be better prepared for the Road Test. SafeWay offers the 6 hour adult course online with convenient local drive sites in your neighborhood! Whether you are getting your license for the first time, are a new resident of the United States or an adult looking to hone your skills behind the wheel, we offer a range of services that will provide you and your family with the peace of mind that only comes from the best driver training in Texas. Start Your SafeWay Driving Course Today! To get your permit, you will need to receive the ADE-1317 from your course provider. You will take this certificate to DPS along with the other required identification documents. During your DPS appointment, be sure to communicate to the DPS officer that you want your permit for practice purposes as opposed to scheduling your Road Test. Having celebrated a certain number of birthdays does not make you a safe driver. You only become a safe driver by spending hours practicing in the car with a certified, professional driving instructor. Be sure to enroll in the best program for your safe driving future, regardless of your age. Complete Your Drivers Ed with SafeWay! Avoid the hassle of taking your driving test at the DPS office. SafeWay Driving is now certified to offer the official Road Test at our convenient SafeWay Drive Sites. Get your license in familiar surroundings! Whether you take your Road Test with SafeWay or choose to wait to take it with the DPS, you will first need to take the one-hour online IMPACT course. Schedule Your Road Test with the DPS! To get your license, you will need to receive your ADE-1317 certificate from your course provider. You will take this certificate to DPS along with the other required identification documents. If you take your Road Test with SafeWay Driving, we will provide you with a sealed envelope to take to DPS. How do I get my permit if I am over 18? The State of Texas requires anyone between the ages of 18 and 24 to take a 6 hour course which covers Texas motor law and the rules of the road. What do I do after I pass the class? You will be sent your certificate via Priority Mail upon completion of your course. You will then be able to take your certificate to the DPS to get your permit or take your driving test. Remember that you learn to drive in a car, not in a course. 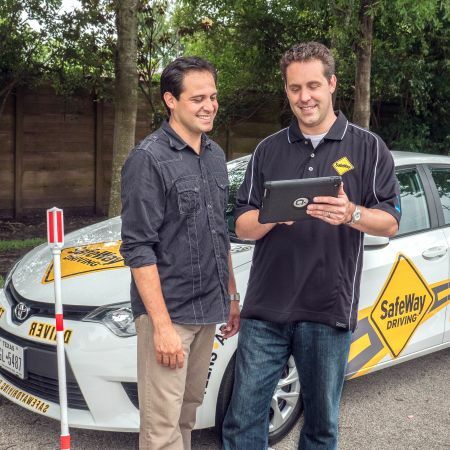 Sign up for some private in-car lessons with SafeWay to prepare for today’s dangerous roads! Can I still take the class if I am older than 24? Yes. Anyone 18 or older can take the class. What do I need to take to DPS to get my permit/license? Click here for a list of documents required by DPS. Click here for DPS locations and hours of operation. Where is the nearest DPS and what are their hours of operation? Click here for DPS locations and hours of operation. Can I get a replacement certificate if I have lost or damaged mine? Yes, for a $35.00 fee including shipping and handling. There are no exceptions. Does taking this course qualify me for an insurance discount? There is not a guaranteed discount available for the license course. However, all SafeWay graduates are eligible for exclusive discounts through Nationwide Insurance. Contact your insurance provider for more information. Does SafeWay Driving train international guests? Yes, we do! Many different situations arise when a foreign guest needs training or licensing on Texas roadways. We provide all of the services necessary for foreign clients to receive the best in training and licensing services. Please inquire for details. Why would a mature driver need training? These are not the same roads our seniors grew up on. While there is no substitute for experience when it comes to S.A.F.E. driving, years of bad driving habits combined with slowed reflexes can lead to very unsafe driving behaviors. 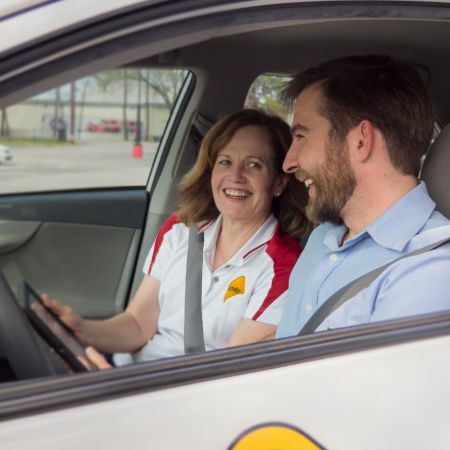 Our Senior Driver Tune-Up is just the next step in the lifelong process of driver training. Illnesses associated with seniors can also affect their driving such as: cataracts, glaucoma, macular degeneration, stroke, epilepsy, diabetes, Alzheimer’s or dementia, so it is always a good idea to know they are at their best behind the wheel. What process is best for working with Senior Drivers? While a Senior Driver’s years of experience should be respected, their current driving ability should be assessed. 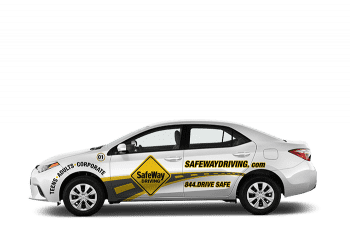 The SafeWay Driving Assessment measures all aspects of a driver’s ability in order to expose any deficiencies that may result in unsafe driving. Recommendations for a course of instruction will be made upon completion of this assessment. Do you bring mature drivers up to speed on the latest vehicle technology? Our new fleet of driver training vehicles are equipped with the latest safety features. Senior Drivers will learn how these features work and how to use them. We are also happy to train in our vehicle and teach the driver how the new features work in their own personal car for their peace of mind. Do you educate mature drivers on the latest in road rules and regulations? The rules of the road, both written and unwritten, and traffic law are constantly changing. We will ensure that the Senior Driver learns everything there is to know about both. It may be time for my parent(s) to stop driving. Will you make that assessment and recommendation? We will be 100% honest and straight-forward when assessing and advising any drivers. Our reputation demands it and we take our responsibility for making the roads safer very seriously. If we believe someone should not be driving, whoever they may be, we will make that recommendation in a kind and caring manner. Discretion and personal requests are taken in consideration and adhered to whenever possible. If it is not a good idea for them to drive any longer, how do you make that recommendation? Will you tell them so the family does not have to? We understand this can be a very difficult and emotional situation as their personal freedom and self-esteem are at stake. We are driving professionals and will stand behind our recommendations and will absolutely be the ones to have that conversation with the driver if the family does not want to do so. 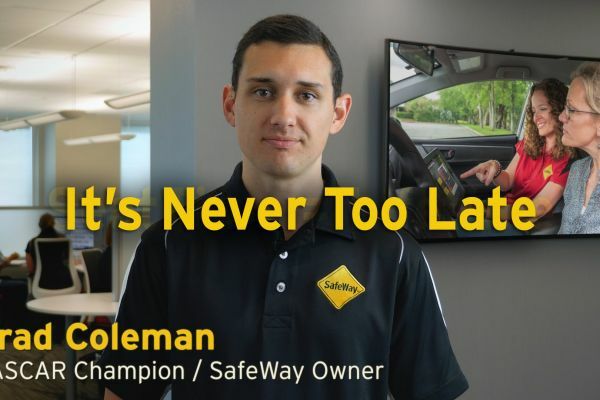 SafeWay Driving is not the legal “final word” in this situation, but we will be supportive of the right thing to do with each and every driver.